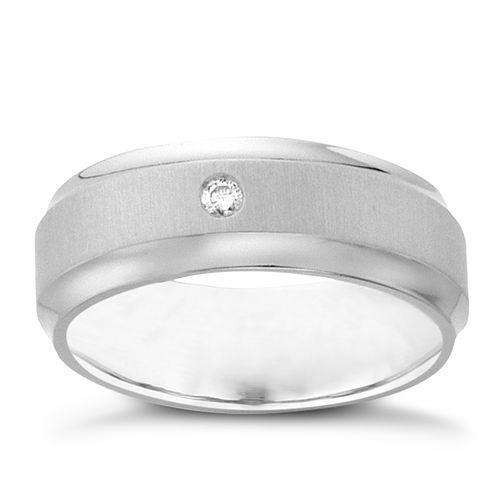 A simply-designed lightweight titanium ring for him set with a single diamond for a touch of style. Perfect as a wedding band to symbolise your commitment. Because men like diamonds too. Titanium diamond ring is rated 4.6 out of 5 by 10.